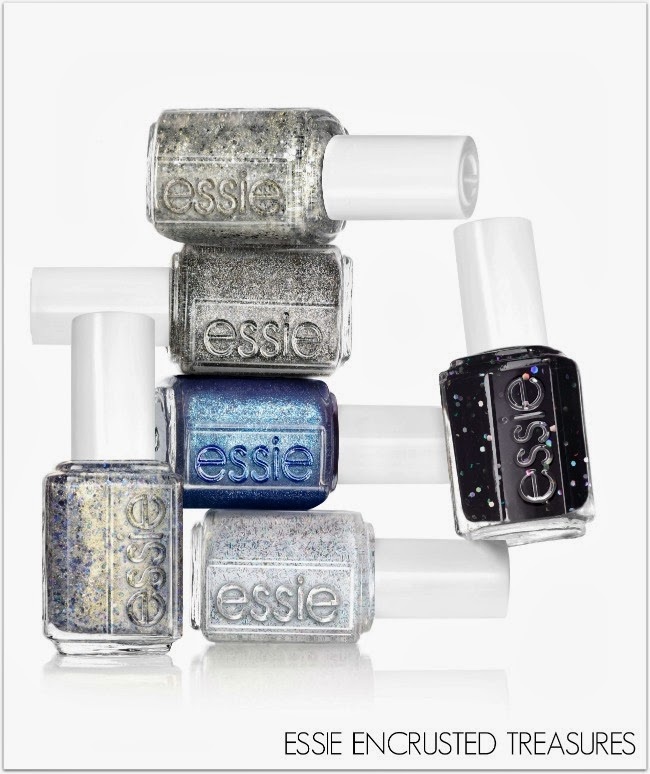 Like crushed gemstones mixed with twinkling stars, Essie's Encrusted Treasures collection tumbled from the envelope out on to my lap, to be greeted with a mixture of reverence and awe. Look, I pointed out to my colleagues, who don't always share my enthusiasm, look how they sparkle and shine! And we all marvelled at their brilliance until the boss walked in. I needed them on my fingers RIGHT AWAY so that very night saw the painful but necessary task of picking out my favourite. I was drawn first to Beluguria, a glossy black with holographic glitter, and my god is it fabulous, but in the end, On A Silver Platter stole my heart. The mix of antique silver and pearlescent gold, combined with holographic violet glitter is both opulent and completely unique. I wore it for a week, removed it with acetate and regret nothing. Wondering what else is in the range? I've got your back! 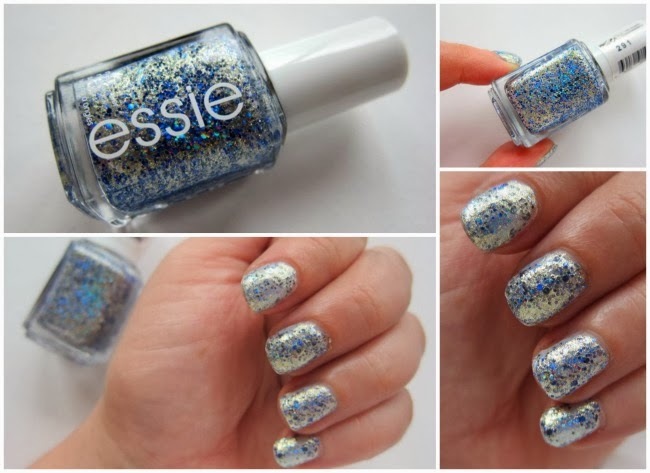 Find Essie in chemists nationwide, priced at €11.99. Are we liking?